M6 Square Pad Eye is used to create a mounting point on the building or a tree. M6 CC Turnbuckle is used to tension the rope. 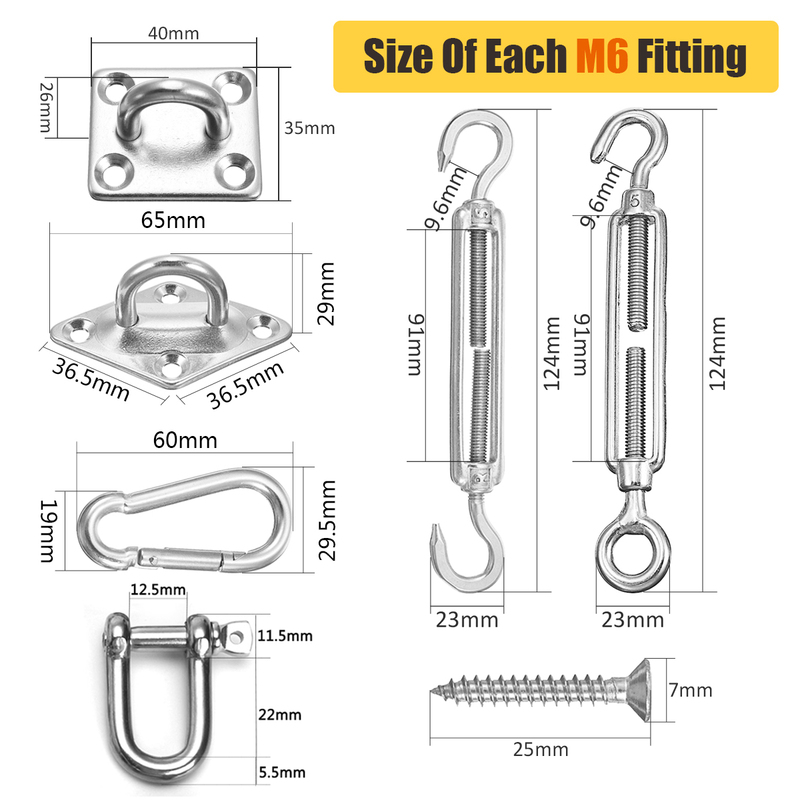 M6 Snap Hook is used to attach the corner of the sail to a mounting point.